Tiller cab windows are very important for the tiller operator as they maneuver the trailer throughout their city. 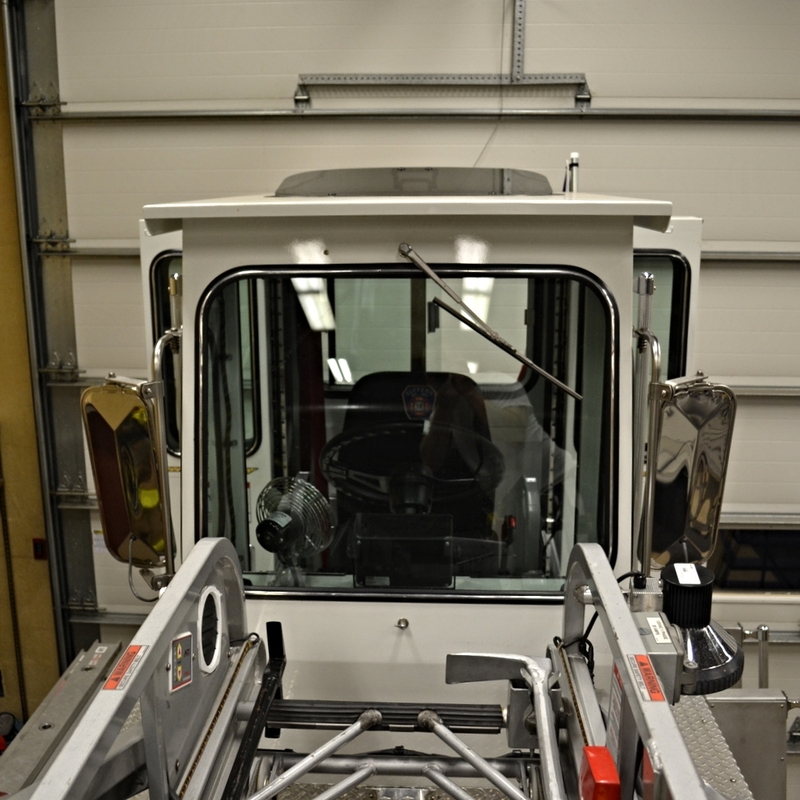 A sunroof in the tiller cab provides additional viewing capacity for the tiller operator as well as more ventilation. Generally this option is something that you would need to specify with the manufacturer. Imagine responding to a confirmed fire in a six-story apartment complex as the tiller operator. As you approach the scene you are able to look up through the tiller cab sunroof and get a good visual of the fire conditions. This is what the tiller operator in San Francisco could have experienced when responding to a massive building fire in the Mission District.